It is summer OFFICIALLY now so you can expect to see summer-themed posts quite frequently around here. :) One thing that I have been focusing on is sunscreen and it is so important for us to take care of our skin. Last weekend, our family enjoyed some much-needed time together and we went to the zoo!! Woo! I love going to the zoo and it has been some time since our last visit. Our younger children had never been before so it was such a treat to experience that with them! Before we even hit the park, I made sure all of the children had sunscreen on them...especially on both of my sons' ears. Their poor little ears get burned SO easily...I make sure they are well covered during any outdoor activities during the summer. By the way, did you know that you can get sunburned during the winter too?? The sun reflects off the snow and you can get some pretty powerful UV rays even though it is bitter cold out. Just thought I would throw that out there. 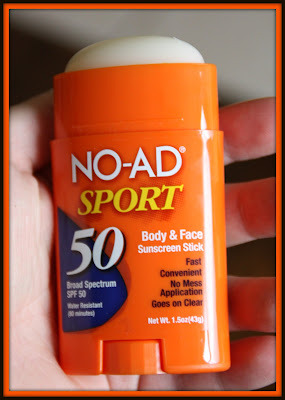 I was dumb as a teenager and didn't use sunscreen at all but now that I am older and a bit-------------ahem-------------wiser, I use it whenever I am outside. I also have Lupus and being in the sun is a huge no-no for me so I use sunscreen to protect my skin from getting burnt or I REALLY have problems. 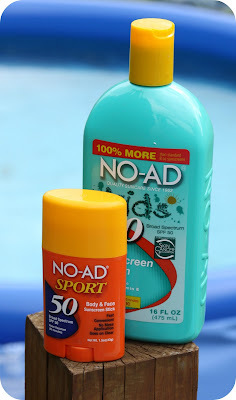 For this review, I was sent two sun care products from NO-AD, but I will focus on one of them. 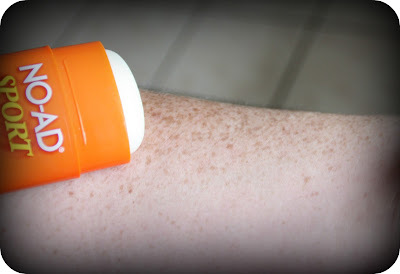 I have reviewed the Kid's sunscreen here before (you can see that review here) so for today, I will be telling you about my experience with the Sunscreen Stick. If you want to know what the sunscreen itself looks like, just imagine a stick of deodorant. It looks exactly like that. 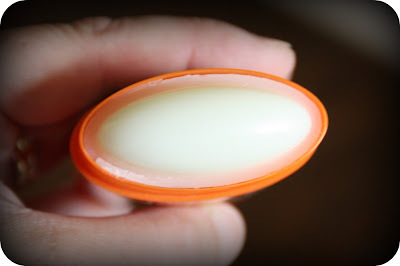 Solid, no cream or gunk to get all over the place, no mess and no hassle. Just what a busy mom like myself needs!! I clean up enough messes and don't need any additional ones. This sunscreen stick is amazing and makes applying sunscreen a super neat project. The last thing that I love is that this sunscreen goes on clear. I rubbed it onto my skin multiple times and as you can see above, there is absolutely no evidence that anything is there. Sometimes, while I love the cream-based sunscreens, they can just be so messy. This one keeps my hands clean and doesn't get my skin sticky or greasy. I can get used to that. 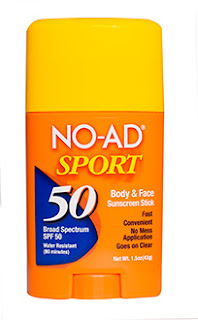 You can find this NO-AD Sunscreen Stick (along with other products from NO-AD) at Wal-Mart, Target, CVS, Walgreens, Rite-Aid, Kroger, Publix, Winn-Dixie, HEB, BI-LO, www.wal-mart.com, www.drugstore.com, and other retail and online stores throughout the USA. Typically, it retails for about $6.99, which is competitive with other brands.